Governor Christie once touted that part of his allure and electibility lie in the fact that he was honest and willing to make tough decisions. 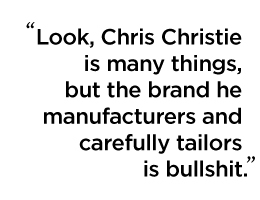 In fact, Mike DuHaime, senior advisor to Christie’s PAC, LMFAO, had this to say about why the PAC was started at all. Christie apparently backpedaled on this statement, softening his stance after realizing an anti-vax position doesn’t help you win over swing voters. But you can’t really soften a position like this, because public health officials don’t accept “parental choice” as a serious policy solution. You’re either pro-vax or anti-vac. There’s no such thing as a balanced approach like Christie advocates for. Here’s Christie’s backpedal, clarifying his original statement (offered as an attached image from Matt Katz’s tweet.) Patrick Murray thinks his full statement is “perfectly reasonable”, but that’s an extremely generous view, considering the context. Here’s why. Promoted by Rosi, who is not as convinced as the writer or the first commenter, of the eventual outcome. As the dog days of Summer set in (actually, it’s pretty cool out today, now that I think about it), the nearly unbelievable extent of the failures of our strong-willed governor have clearly emerged. Here is a man who was elected to one of the most powerful governorships in the nation, yet, after a full term and then some, he’s achieved nothing. Hypocrisy, exaggeration and deception are part and parcel of democratic politics, but all lies, I have learned, are not equal, nor should they be received that way. Some lies are much more deceptive, cunning and misleading than others, as are the liars that tell them. A good example is currently winding its way through the web and blogosphere, and it concerns the current darling of the Tea Party, David Brat. Brat’s unexpected primary victory against Republican Party Bigwig/Congressman Eric Cantor is huge news, and rightfully so. As a Tea Party favorite, Brat’s victory serves as a warning to more moderate Republicans that so-called free market, laissez-faire Tea Party values still hold credence with Republican voters. The Tea Party and its Republican supporters live in a sort of “way we never were” cloud where America is (or should be) rightfully a white, Christian country comprised of English-speaking hard workers who, in their noble, honest self-sufficiency are not in need, nor desire, any welfare-state handouts like Medicare, Social Security or almost anything else state-sponsored or supported. They see themselves as the once marginalized but now awakened “Silent Majority” whose time to stand up – unapologetically so – for American values and identity has arrived. According to Tea Partiers and many Republicans, people who get a “boost” from government programs are cheating an otherwise fair and square system which rewards hard work and honesty with The Good Life. Brat never gained admission to or graduated from Princeton University. He lied. He misrepresented himself and tried to convince his readers, supporters and others that he earned something that he did not. This is no small omission, and he shouldn’t get a break on it. America is indeed the land of fudged resumes, and of people reinventing themselves – sometimes twice over. But what we have here is a candidate who represents a movement that, like I mentioned earlier, is obsessed with merit and straightforwardness, and Brat, in his claims, honors neither. He’s a fraud and wannabe. His claims are an insult not just to Princeton alumni, but rather, to any and all of us who ever worked and earned a four-year college degree anywhere. Its especially stinging for those of us burdened with tens of thousands of dollars in college loans that the Tea Party demands we repay regardless of the cost to our families and the national economy. He’s a fake, a phony. He’s pathetic. But curiously enough, I will concede that Brat is a fine representative of the entire Tea Party movement, and that of the Republican Party as well. Because if you do really believe that you’ve earned everything in your life, and that you owe nothing to your society or nation or community, then you’re about as much as a hypocrite as he is. The truth is that most if not all Americans have received immense benefits, both directly and indirectly, from the various levels of government over the course of their lifetimes. Whether it was attending public school, driving on an interstate highway, breathing in relatively clean air, gaining a benefit from an unadulterated medication, cashing a Social Security/Medicare check or sending an email – we have all proven to be welfare kings and queens. We have all advanced at some point in our lives from the imperfect largesse of the Federal and State governments. And you don’t need a Princeton degree to figure that one out. Some Suggestions for Dems Meeting in A.C. Starting today, New Jersey Democrats will be meeting in Atlantic City to discuss, debate and soul search. They have a lot to talk about. Though the Dems have managed to hold on to the Legislature in the past election, they failed to gain veto proof majorities and, of course, stood idly by as one of the most mercurial Republican governors in the state’s history won re-election. New Jersey’s state political scene is a complex one, but there are a few conversational priorities that I think the Dems need to focus on. Here are some I’ve thought up so far; I’d appreciate any feedback. Christie makes a Buono Blunder? Remember the fiasco surrounding Barbara Buono’s attempt to get O’Donnell in as Democratic Party Chair? Is it just me or is there some odd parallel to what just happened with the Governor and his pick for Senate Minority leader? Was Governor Christie riding on the airs of victory or arrogance when he attempted to oust Tom Kean Jr. in favor of O’Toole? The inability to pick up Republican seats is as much the fault of Christie, who focused largely on his own campaign, as anything Senator Kean did or did not do. But Christie went after Kean in a poorly planned plot and lost control. Frankly, I am shocked that this Governor has experienced such a visible political blunder in the days following his re-election. I kind of wonder what is next…..
On September 4 2013, I, Terry Agee, a Senior Political Science major at RU-Newark was informed by RU-New Brunswick by an email that had stated I would would not be awarded financial aid for the 2013-2014 term. Moreover, it had accused me of accumulating too many credits for a Rutgers’ Undergraduate Degree. Well, the notice was grossly incorrect. For the record, I am 23 credits below RU-New Brunswick’s 180 degree credits policy. Nevertheless, I was told to submit an “Academic Plan” from my Academic Adviser for a one-time consideration dealing with this financial matter. Be that as it may, this financial aid snafu clearly demonstrates the disconnect between RU-New Brunswick and RU-Newark. So, I propose to remedy this alienation by powers beyond RU-Newark with a petition to Governor Christie demanding the immediate full autonomy of RU-Newark from RU-New Brunswick. What is good for RU-New Brunswick in not good for RU-Newark! Christie, for political reasons, is ignoring the red flags. Then in July, estimates of tax collections for the prior fiscal year showed the same thing: a shortfall. The governor’s spokesman said this was “hasty and speculative” – “panicked,” even. Now the latest numbers from the nonpartisan Office of Legislative Services and state Treasury tell the same story. The state is looking at a shortfall of at least $200 million for the previous fiscal year. And in July, the first month of the new fiscal year, revenue was also below Christie’s expectations. Understand that giant spending increases are baked into the state budget over the next several years. That’s because both parties agreed to continue skipping full pension payments, despite making public workers pay in full right away. They also agreed to finance transit projects by borrowing, rather than increasing the gas tax. This is old-school Jersey behavior, and the bill is coming due. Christie wants to ignore all that and phase in tax cuts beginning in January. Democrats, skeptical that we can afford it, said they would go along in January only if revenues meet the governor’s expectations. That’s simple prudence. There is really only one way to explain the governor’s insistence that the tax cuts should be locked in now, even in the face of these disappointing revenue reports: politics. After all, it will make such a great pitch during his speech next week at the Republican convention. The emphasis is mine. The full editorial is worth a read, but if you’re looking to boil things down that sums it up nicely. But if he wants to use the past to explain the political present, why aren’t Democrats hitting back by calling out Christie for what he is, a “Bush Republican”? Christie would never have risen to power without the Rove-appointment to Attorney General as a reward for raising big bucks for President Bush. But what’s worse is that Christie has adopted the same Bush economic policies. Magic budget numbers that don’t add up, a reckless tax cut predicated on politics, and an economy which he has managed to drive into a ditch. He may have the political instincts of Karl Rove, but Chris Christie has made our state economy worse. The 47th economy in the country. Lagging behind our regional state peers. An inability to take the hard road which will lead to longterm economic success. 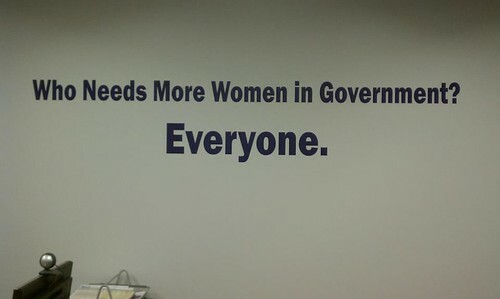 A shortsighted view of governing. An inability to grasp economic realities. New Jersey, say hello to Governor Christie, your Bush Republican.